The transmitting FFU (which we call the ISAAC-Tx) will, apart from the IR source for the spectroscopy, be equipped with an LED that emits visible red light. The receiving FFU (called the ISAAC-Rx) will be able to sense the LED source using its onboard CMOS camera. But before doing so, the the ISAAC-Rx will make (very educated and pre-determined) guesses as to the whereabouts of the ISAAC-Tx using a sun sensor. 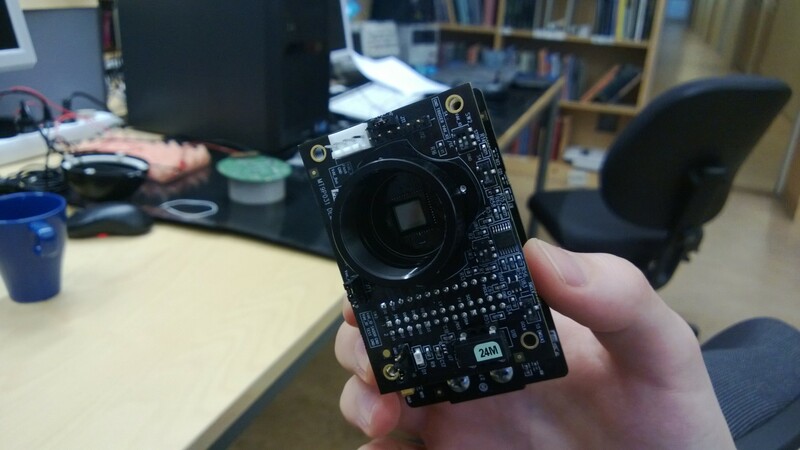 Afterwards, it will proceed with taking pictures of the sky with the CMOS camera in hopes to find the LED source using a tracking algorithm. It will then direct mirrors and adjust stepper motors in order to align the FFUs with each other so that the spectroscopy can take place. Simple as that, right?! The concept is neat and simple, but imagine doing this with the FFUs falling rapidly towards the ground a kilometer apart. It isn’t your average tracking project to put it mildly. Us (Emil and Markus) and the other electronics people have a year of hard work ahead of us. But it will be so much fun!